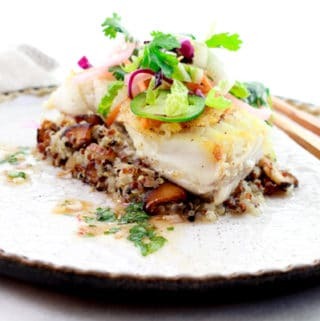 Last Updated: March 19, 2019 · Published: February 19, 2018 By: Asian Caucasian 6 Comments This post may contain affiliate links or sponsored content. 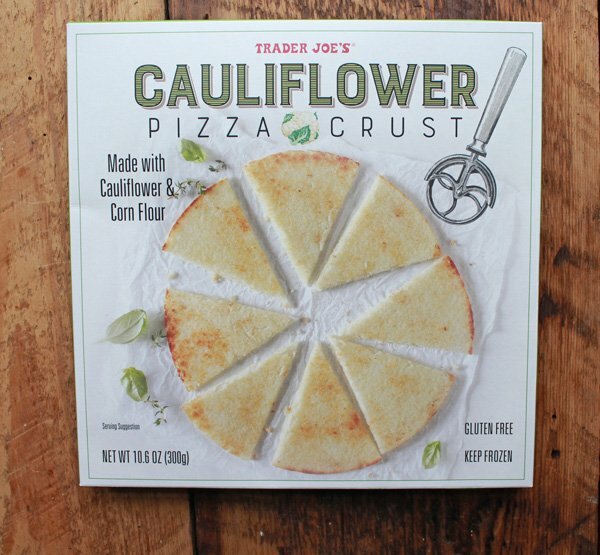 Just discovered Trader Joe’s new frozen, gluten-free cauliflower pizza crust, and WOW is it good! 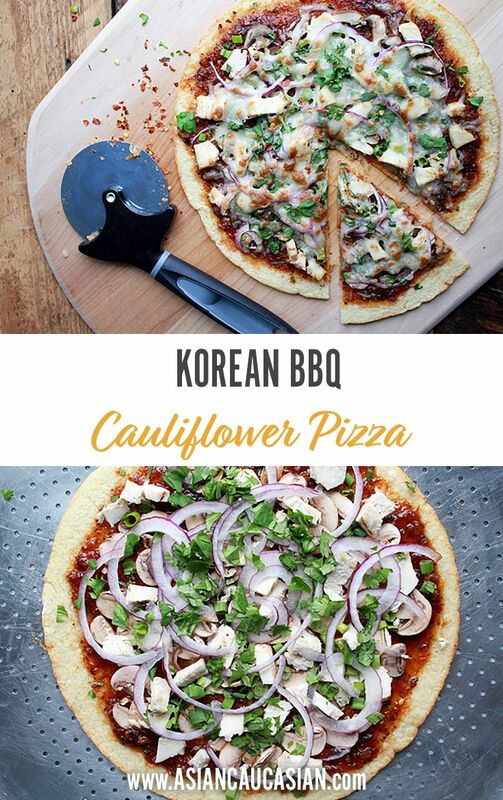 I was playing with some recipes for pizza and decided to make this yummy Korean BBQ Cauliflower Pizza. Really, the crust is so good that it’s hard to tell the difference. The pizza crust bakes so quickly and then you can add whatever toppings you are craving on a pizza! 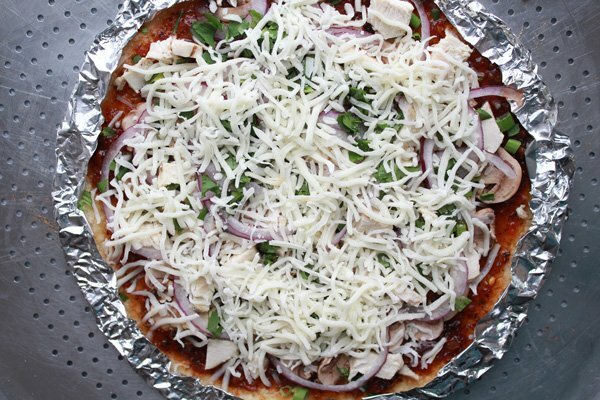 This pizza features a Korean BBQ sauce (I added some Gochujang — Korean chili paste — to store-bought BBQ sauce), topped the pizza with fresh mushrooms, green and red onions, shredded chicken, lots of cheese and fresh cilantro. Could not get any easier than that, am I right? 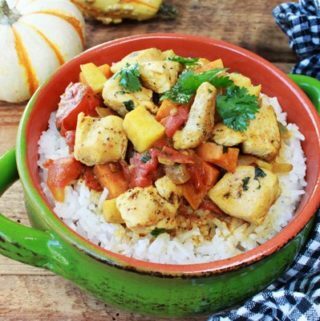 Leave off the chicken for vegetarian. 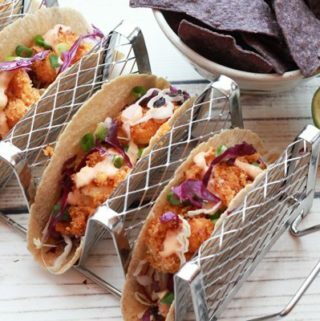 Serve with a side salad or make this an appetizer. Either way, you’re going to want several slices! Trader Joe’s gluten-free cauliflower pizza crust is in the frozen section. Pick up a few because they go quickly! The cauliflower pizza crust bakes to perfection and is so versatile when you add the toppings. 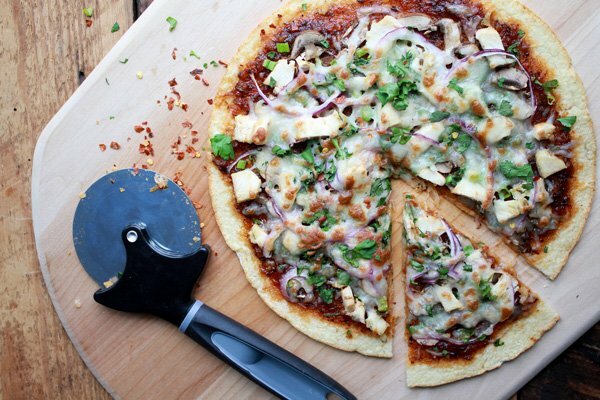 This pizza crust is topped with Korean BBQ sauce, fresh veggies, and herbs and chicken. 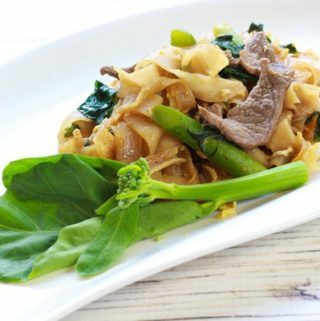 Use whatever you have in your fridge! 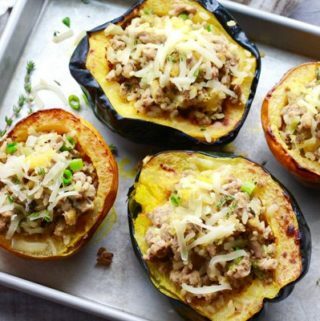 Top with your favorite cheese! I wrapped foil around the edges so the crust wouldn’t burn. Perfection! 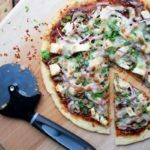 Take a bite out of this Korean BBQ Cauliflower Pizza and you may eat the entire pie! 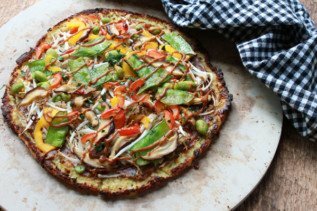 This gluten-free cauliflower pizza crust is so delish and inspired me to make this easy and yummy Korean BBQ Cauliflower Pizza! Preheat oven to 450 degrees. Cook the cauliflower pizza crust according to directions until slightly golden. Remove and let cool. 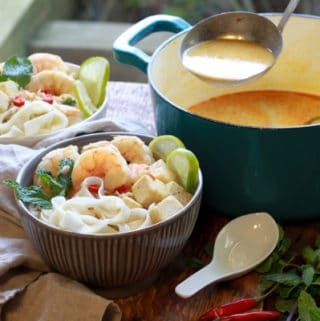 In a small bowl, combine the BBQ sauce with the Gochujang. Brush a thick layer of the BBQ sauce over the cauliflower pizza leaving about an inch around the edges. 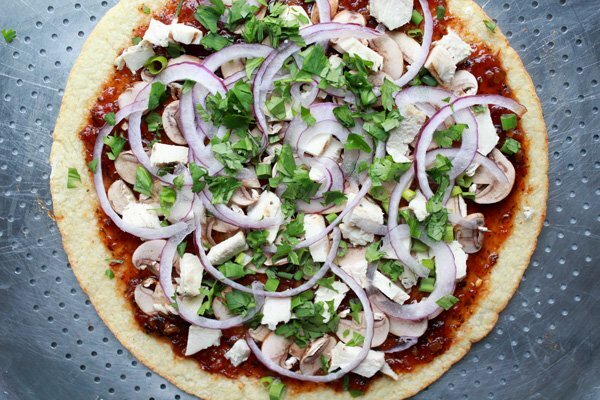 Top the pizza with the mushrooms, chicken, green onions, red onions cilantro, and mozzarella cheese. Cover the edges with thin layers of aluminum foil to prevent burning. Bake for 5 minutes at 450 degrees. Broil for another 1 minutes until the cheese browns slightly. Remove and sprinkle with red pepper flakes. Trader Joe’s Cauliflower Pizza Crust can be found in the frozen section. You can also make the cauliflower crust from scratch. I love how the crust is made out of cauliflower! 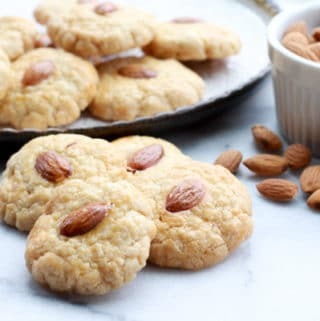 Such an amazing recipe! Thank you, Carolyn! It’s so easy, I swear! You have to try this one. 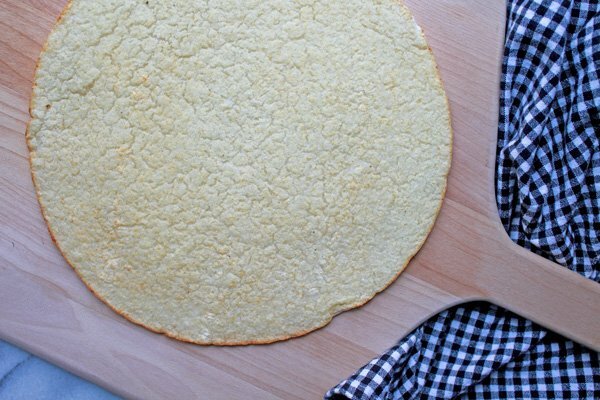 Have wanted to try the cauliflower pizza crusts but making my own seemed like too much. 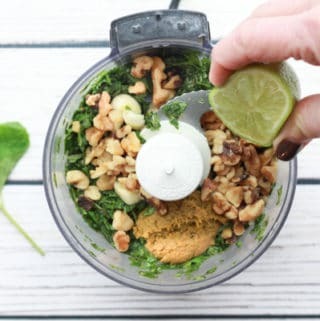 Definitely going to try the pre-made! Megan, you won’t believe how easy it is! You can top this pie with just about anything! I’ve make the cauliflower crust from scratch and this one is a real time-saver. Looks so yummy, I love Korean BBQ! 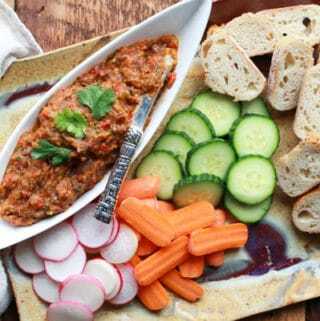 This one’s so easy to make with the ready-to-bake cauliflower pizza crust from Trader Joe’s!